I’m first of the Sensors to return. Not surprising, as my circuit was the shortest, my track the safest. The others have gone deep into the Ecosystem, to places I’ve only heard of, realms I can only imagine. In time, if I’m successful, I’ll seek out the same places, where the game is thickest and the dangers greatest. In time, if I live, I’ll train the next generation of Sensors, as Aaron has trained me. But tonight, I’ll celebrate. The village will celebrate. They will celebrate me. We will meet in the great hall, the entire community assembled as one, except for the few threshers assigned to guard the periphery against the Ecosystem’s attacks. In the stone hearth, the firestarters will light the blaze that is the Ecosystem’s chief grievance against us, that and the cutting tools with which the threshers keep the forest from encroaching on the pavilion of stone. As the flickering shadows grow against the vault’s stone walls, the Sensors will step forward to be acknowledged by the mass of commoners. In their identical uniforms of close-fitting brown fur, cut short to expose muscled arms and long legs, the members of the Sensorship will stand like statues: aloof, unsmiling, their Sense of the Ecosystem isolating them from the community they’re sworn to serve. And for the first time, clothed in the matching outfit I wore on today’s hunt, I will stand with them. I’ll stand straight and still as the rest, though my heart will tremble with excitement. Then Nathan, as Conservator of our order, will deliver the customary address, reminding the populace of how the Sensorship came to be. In his deep and commanding voice, he’ll speak of the days of old, when humans were numerous and powerful, when their towns and trails covered the land. He’ll speak of towers that climbed to the skies, things like giant birds that flew across earth and water and air. He’ll tell us of devices that enabled one man to hail another across the globe, ghostly screens that enabled one to see another’s face no matter the distance between them. We who’ve known only the Ecosystem these past hundred generations will find the picture laughable, but none of us will laugh. Even the village children will stand silent and solemn, seeing in the shadows stirred by Nathan’s voice visions of a time that once was, a time that can never be again. And then, his voice sunk to a whisper, Nathan will speak of the Ecosystem’s rise. He’ll tell how, unseen and undreamed of by those who claimed earth’s dominion, the planet’s innumerable threads of life knitted themselves into one, the first dim flickers of awareness burgeoning over time into full angry consciousness. He’ll speak of cities overwhelmed by jungle or swallowed by monsters from below, farmlands turned to lakes of poison and parklands roamed by deadly predators. He’ll spare no detail, yet his words will fall far short of reality. It was a planetary outpouring of grief and rage, a coordinated attack that swept human civilization from the face of the earth. It gave rise to the world we know, a world in which the Ecosystem rules and we who were once its masters huddle in its shadow. But it didn’t destroy us all. Its desire was thwarted, and so its anger festers to this day. For among the few of our kind who were left, there arose a fraction who discovered within themselves a hint of the Ecosystem’s will, an ability to hear its dark whispers. These were the first Sensors, and as they gathered the survivors around them, there arose the first villages of stone, the first walls and firewells, the first masters and apprentices. Down to the present day, the Sensors have used their power for good, their Sense of the Ecosystem freeing them to roam the forest in the daily hunt for food and fuel. They’ve served their people selflessly, renouncing all ties that might distract from their vital calling: ties of love, family, children. We know nothing of how other villages fare; for all we can tell, we’re alone. But so long as the Sensorship stands, we will not fall. When Nathan finishes, the commoners will applaud, though they’ll have understood his words only the way a blind man understands what it means to see. As the village’s newest Sensor, I’ll be singled out for my investiture, receiving from Aaron’s hand the token he received from his own master, and his master from the one before, and so on back to the beginning, something no one outside this line of masters and apprentices has seen. It will be small, and Aaron will pass it to me in secret, an item wrapped in fur for me to unwrap when I’m alone. His wrinkled face will smile as he bestows it on me, and his smile will call back to me the earliest of my memories, the morning when, looking up at his face as he now looks up at mine, I first heard from his lips the new name he’d given me. And I’ll remember, too, what I learned many years later: that the name of Sarah was another’s name first, that one so old as Aaron would never have taken a girl of three as his apprentice if not for the other apprentice he’d trained and lost. It will be a moment for the community to welcome me after a lifetime of preparation, a moment for me to mourn the one who came before, though I remember nothing of her except her name. It will be a moment for me to honor her stolen memory, and to hate the Ecosystem for taking her from me. And then the village will feast on the thing I killed, the life I tore from the Ecosystem in retribution for the pain it has caused me. 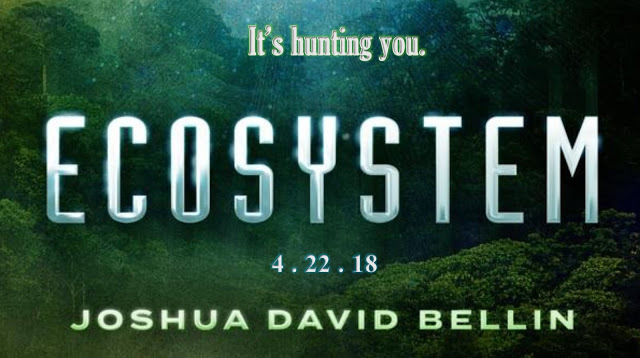 With a stone pestle, Aaron will smear its blood on my cheeks, and the firestarters will roast its flesh, each member of the community sampling a small bite before they consume the bushmeat caught by the other Sensors. Aaron, as Chief Sensor, will give a speech, and the name of Sarah will be spoken again and again, while the congregation grows drowsy with food and fire. And when he’s finished, I’ll walk to the center of the gathering, and I’ll eat the one part of my kill saved for me, the first and only bite of food I’ll be permitted this day. I will eat its heart. In itself, that will be nothing new. 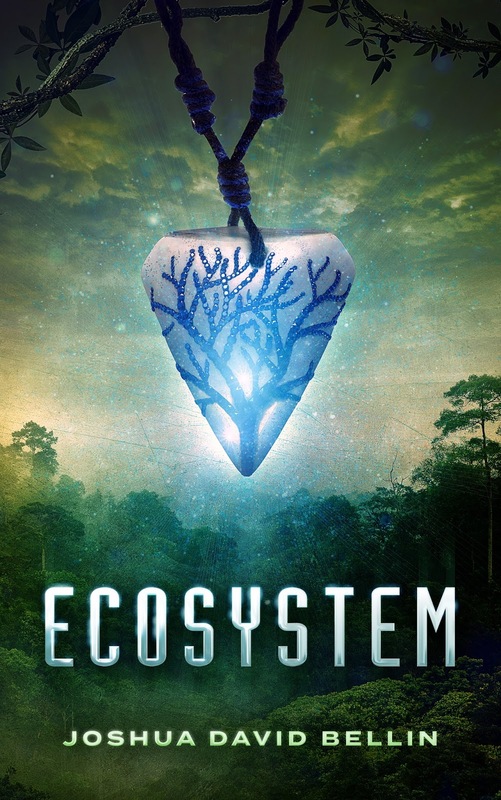 I’ve eaten the Ecosystem’s heart every night since I first learned of the one who came before. It has tasted like gall in my throat, but I’ve choked it down just the same. Only tonight, there will be a difference. Tonight, it will taste good.